This story was co-published with the Los Angeles Times on Dec. 6, 2009. Firms that supply temporary nurses to the nation's hospitals are taking perilous shortcuts in their screening and supervision, sometimes putting seriously ill patients in the hands of incompetent or impaired caregivers. A joint investigation with the Los Angeles Times found dozens of instances in which staffing agencies skimped on background checks or ignored warnings from hospitals about sub-par nurses on their payrolls. Some hired nurses sight unseen, without even conducting an interview. As a result, fill-in nurses with documented histories of poor care have fallen asleep on the job, failed to perform critical tests or stolen drugs intended to ease patients' pain or anxiety. "A lot of them are really bad nurses," said Sandra Thompson, a nursing supervisor at Northridge Hospital Medical Center and Sherman Oaks Hospital, both in the San Fernando Valley. "Sometimes I see them here [at Northridge] and think, 'I wonder how long before I see them over' " at Sherman Oaks? Some agencies are diligent about checking nurses' records, said Joey Ridenour, executive director of the Arizona State Board of Nursing. Others are not. As a result, if wayward nurses want to work, "I think it's easier to hide in the registries," Ridenour said. "Some just sign them up." • Firms hired nurses who had criminal records or left states where their licenses had been restricted or revoked. At least three firms employed a nurse in California whose license had been suspended in Minnesota for stealing drugs at a string of temp jobs. One used him after he'd been convicted of doing the same thing at a Santa Rosa nursing home. 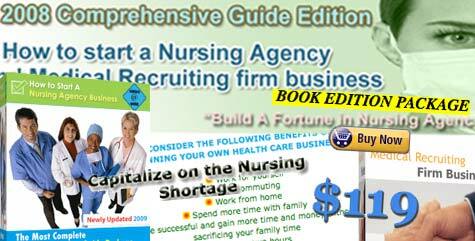 • Temp agencies shuffled errant nurses from one hospital to another, even as complaints mounted. A Culver City agency continued sending one nurse to hospitals despite more than a dozen warnings that she was ignoring her patients and sleeping on the job. Before she was hired, the nurse had been convicted of 12 crimes, including prostitution, carrying a concealed weapon and possessing cocaine. • Nurses who got in trouble at one agency had no problem landing a job at another. An Oklahoma nurse cycled through at least four Southern California agencies in a year, accused of pilfering drugs while at each. Before her final stop, she was arrested in her home state for calling in prescriptions while posing as a doctor's office employee. Failings in the temp industry are magnified in states like California, where nurses are in particularly short supply. Almost every facility, from rural medical outposts to prestigious hospitals, must rely on temporary help. Nearly 6% of registered nurses licensed in California – or about 19,300 people – are temps, based on a 2008 survey commissioned by the state. About half of these nurses live in other states. Here, oversight of nurses in general has been weak. A Times/ProPublica investigation in July found years-long delays in disciplining nurses accused of serious misconduct. Regulators say they are working to fix the problems. Still, California's registered nursing board is among a minority that does not require hospitals, agencies or anyone else to report even serious lapses by nurses, including temps. When staff nurses err, hospitals typically retrain or monitor them afterward. Temp nurses often are just exchanged for replacements, never receiving further guidance. Industry executives and healthcare administrators say the firms are invaluable to hospitals and nursing homes, filling in for nurses who are sick or on strike and helping in swamped emergency rooms. "There are very good people who work registries who do not want to be tied to anything regular," said Katherine Eaves, chief nursing officer at Riverside County Regional Medical Center. "There's another group of people who are working registries because, guess what? They can't work anywhere else." Many agencies leave it to applicants to reveal previous problems. Using multi-page checklists, they are asked to rate themselves on how well they manage critical care patients, use complex equipment and administer drugs. 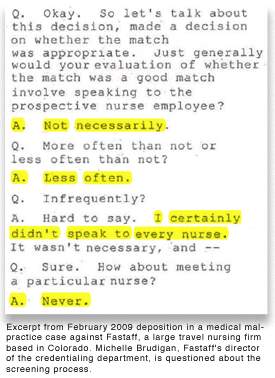 Some nurses admit lying on applications or withholding information from their employers. Raphael Obiora was hired by an agency despite allegations of drug thefts that were fully detailed on the California nursing board's website. Once on staff, he admits, he did not tell the agency when the board placed him on probation. He said it was up to his agency to verify his credentials. "I don't have to tell you nothing," he said. "You have to check." In trouble in her home state of North Carolina, nurse Beverley Cathey saw an opportunity out West. The day after Cathey applied at EZ Staffing in Glendale, she was on the job. She said on her application in July 2007 that she was qualified to work in critical care units, tending to a hospital's sickest patients. It didn't take long before hospitals disagreed. Cathey "sat at the nurse's station most of the time not doing anything," a supervisor at Northridge Hospital Medical Center complained in August 2007, according to EZ Staffing records reviewed by reporters. "Not up to our standards for ER," wrote a nurse from Huntington Memorial Hospital in Pasadena the following week. The then-57-year-old nurse gave inaccurate patient information to colleagues and failed to perform an electrocardiogram as ordered for a patient with an abnormally fast heart rate, the records show. In August and September 2007 alone, four hospitals filed six complaints against her, according to the firm's records, including three by Huntington. The next month EZ Staffing contacted North Carolina's Board of Nursing to check on her license: Cathey, it turned out, was on probation. One condition was that she not work at a staffing agency. While a temp nurse at a North Carolina hospital, she'd failed to account for drugs she'd signed out, falsified records and provided negligent care, according to the North Carolina board's allegations. These records had been posted on the board's public website since December 2006. Asked for comment, Cathey said in an e-mail that the accusations against her were "not valid or creditable." 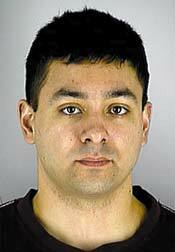 Abraham Abirafeh, who started EZ Staffing in 1991, did not respond to questions about the case and accused a reporter in e-mails of trying to harm EZ's reputation. In November 2007, the North Carolina board indefinitely suspended Cathey's license. Twenty-one months later, California regulators initiated formal proceedings against her license. While her case winds its way through the disciplinary process, Cathey remains free to accept temp jobs in California. Dee Patrick recalls sitting in a box at the Kentucky Derby some years ago exchanging pleasantries with a couple next to her. She told them about her Phoenix temp business – how, as a veteran nurse, she'd built it from scratch in the mid-1980s when virtually no one was doing it. Six months later, Patrick said, she was shocked when the woman called to say, "Hey, we opened up one of those businesses." "They have no background in nursing," said Patrick. "They don't have to know anything." Although the healthcare system as a whole is increasingly regulated, the nurse staffing industry remains a Wild West. No one knows how many agencies exist nationwide; estimates range from 3,000 to 6,000. Dozens of Internet sites tout the easy profits and hawk how-to guides for as low as $69.95. "Be One among the Millionaires, Start Your Own Nursing Agency," trumpets one site. "You will be up and running in a week," promises another. "You don't have to be a nurse to start your own Nurse Agency," assures a third. Agencies range from those run on dining room tables to publicly traded companies. They open and close, merge, swap staffs and change locations. Standards for screening vary widely. Recruiters sometimes poach on one another's rosters. One Los Angeles agency alleged in court papers last year that a rival firm's employee had joined its staff, stolen its list of employees and salaries, and then returned to her old firm. Many agencies allow applicants to take competency tests online. Testifying in a malpractice lawsuit earlier this year, an official at Fastaff, a large traveling-nurse firm based in Colorado, said applicants have been hired without even a phone interview. References weren't contacted "unless it was out of the ordinary," she said. Some healthcare institutions say they interview and check the credentials of every temp nurse. Others say they don't, particularly in a crunch. "Clearly we have no time – we have to count on them," said Fred Benson, administrator of Santa Rosa Convalescent Hospital in Northern California. It hasn't always worked out. He recalled that two temp nurses at his facility took the keys to a drug cabinet. Unlike hospitals and nursing homes, which are inspected regularly, temp firms aren't accountable to anyone but their clients. Mark Stagen, president of the National Assn. of Travel Healthcare Organizations, acknowledged the need for improvement. Companies' standards can be "loose or nonexistent," allowing poor-performing nurses to easily "game the system," said Stagen, head of a Marina del Rey travel firm. Reporters asked 12 public entities that run hospitals in California whether they had audited firms that supplied them with nurses. Only five had done so in the last three years. Last year Los Angeles County health staffers went through the files of 29 agencies seeking to provide nurses to its public hospitals. Most of the firms lacked key documents, including evidence of tuberculosis screenings or proof that nurses had current licenses. One agency had 90 missing or invalid records, another 63. 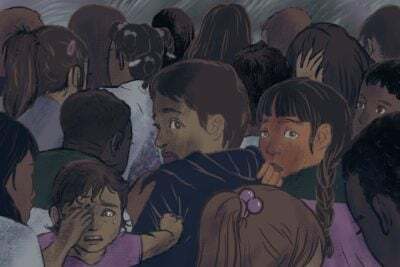 The lapses were "surprising," said Vivian C. Branchick, director of nursing affairs for the county Department of Health Services. "They know – and they've known it all along" – what the standard is. All of these firms were allowed to correct their shortcomings and won county business. In late 2006, the county audited Reliable Health Care Services in Culver City, which had received $8.9 million for temp services during the previous fiscal year. The audit found that Reliable had "forged" results of tuberculosis skin tests, physical exams and CPR training cards, which "jeopardized the safety of county patients." Reliable also made "false and misleading statements," the audit said, citing a general "lack of trustworthiness and integrity." 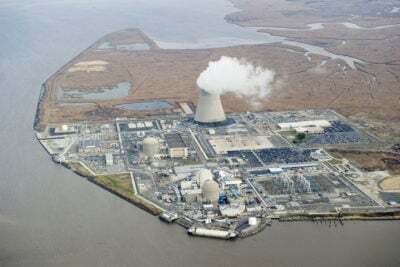 After the county terminated the Reliable contract, the firm filed a claim alleging libel, breach of contract and fraud. As part of a settlement, the county agreed not to formally bar the agency from county work, and Reliable agreed not to seek any for 10 years. A lawyer for the firm called the county's allegations baseless. Some in the industry say staffing firms already have an able watchdog. Since 2004, the Joint Commission, better known for accrediting hospitals, has been reviewing healthcare staffing firms. The national organization bestows its seal of approval on those that meet standards for screening applicants, following up on complaints and ensuring competency. This seal is displayed prominently on firms' websites. Some hospitals will use only agencies that have it. But the program is voluntary and used by a minority of temp agencies – 337 firms – in part because they must pay the commission thousands of dollars to be reviewed. Most of the largest firms are certified. 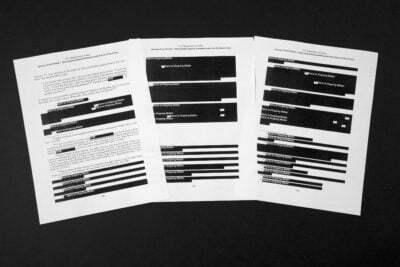 The commission doesn't release detailed findings on the firms, even to hospitals. It has withdrawn its seal of approval from temporary staffing agencies seven times this year – all but once for nonpayment of fees. At the same time, firms that display the seal have been cited in audits, nursing board records and court files for bad judgment or behavior. 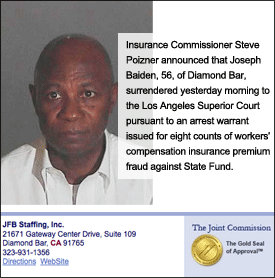 Joseph Baiden, owner of JFB Staffing in Diamond Bar, was arrested in August on charges of defrauding the state workers' compensation fund of $1.4 million by misrepresenting the number of nurses on his payroll. Some hospitals cut ties with JFB, and authorities froze Baiden's bank accounts and seized his property. Although Baiden has pleaded not guilty, his attorney Tracy Green said that she is working toward a resolution with the district attorney's office and that Baiden plans to repay whatever he owes. In the meantime, on the Joint Commission's website, there is a gold seal of approval by the JFB name. Paystaff Pacific not only hired nurse Raphael Obiora in 2007 despite his troubled past, it also kept sending him out when it learned he wasn't a skilled nurse, documents show. In a little more than a year, seven hospitals rejected Obiora, telling Paystaff he'd made a medication error, failed to follow a doctor's order and been "inappropriate" with a patient's relative. Hospital managers use such rejection notices, known as "Do Not Sends," to alert agencies to the shortcomings of temp nurses. But the agencies are under no obligation to act on the information. In April 2008, the Monterey Park firm dispatched Obiora to Garfield Medical Center. There, he failed to adequately monitor the vital signs of two critically ill patients. His conduct was "unsafe," wrote Simon Marcus, the hospital's critical care director, on a form he sent to Paystaff. Unknown to the hospital, Paystaff had already evaluated Obiora and found his competence to be below average. Shortly before he was sent to Garfield, the firm had determined that he should be fired immediately, according to agency records that became part of a regulatory proceeding. Only after Marcus raised an alarm did Paystaff fire Obiora. Hugh Wu, a Paystaff official, said in an e-mail that the company acted responsibly. Other complaints about Obiora were not as serious as Garfield's, he said, and Obiora had hidden state nursing board discipline against his license. Obiora, an evangelist who preaches at a Celestial Church of Christ in Gardena, ultimately lost his California license. Marcus said his experience with Obiora "makes you wonder" about temp nurses. "Have they made errors elsewhere? Who is monitoring them?" Some temp firms indicated that they don't use a nurse again if they feel at all uneasy. "We just don't want to take the risk," said Jim Essey, who runs a New York-based temp agency and is a former chairman of the American Staffing Assn., an industry trade group. Other agencies say most rejections stem from picayune problems, such as tardiness and personality clashes. But data provided by public hospitals show this isn't necessarily so. According to Riverside County Regional Medical Center, for example, more than 60% of the 339 temp nurses rejected since 2003 failed to demonstrate basic nursing skills on the job. Arrowhead Regional Medical Center, San Bernardino County's public hospital, reported that it had rejected 61 temp nurses since 2005 – more than half for performance problems. Hospitals sometimes lose track of which nurses they have already booted. A nurse can be red-flagged by one unit and later sent to another. At Lakewood Regional Medical Center in March 2008, temp nurse Kelvin Brown was found in a deep sleep at the nurses' station on a ward of patients hooked up to monitors. He was roused but later fell asleep in a patient's room. Awakened again, he dozed off in the break room. Asked to leave the hospital, he made it as far as the intensive care waiting room before slipping into sleep once more. He left after security called police, according to the nursing board's December 2008 accusation against him. A supervisor later discovered that Brown had had problems at the hospital before. He had fallen "heavily asleep on every shift and exhibited behavior – such as talking to and answering himself aloud – that made staff uncomfortable," the accusation said. In fact, Brown had been placed on the hospital's "Do Not Return" list while working for another agency for such reasons, the document states. A spokesman for Tenet Healthcare Corp., Lakewood's parent, confirmed that Brown had worked at the hospital before but disputed the state's account that he'd been previously barred from working there. Brown could not be located for comment. In another case, St. Jude Medical Center in Fullerton informed MedStaff Healthcare Solutions in March 2007 that it suspected nurse Donald Paradise of stealing drugs and asked that he never return, a hospital spokesman said. Six months later, Paradise was accused of stealing drugs at a sister hospital, where he also had been sent by MedStaff. "It's absolutely not acceptable," said Kevin Andrus, a spokesman for St. Joseph Health System, which includes St. Jude. 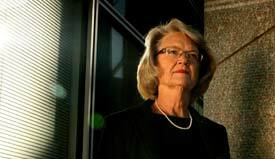 MedStaff's contract, he said, prohibited it from sending a rejected nurse back to any hospital in the chain, but Andrus conceded that the chain doesn't keep a master list, as some entities do. A spokesman for MedStaff said that Paradise had passed a drug screening after the St. Jude incident and that the hospital had indicated it was satisfied with that. Andrus says that was not so. Paradise, who faces a nursing board accusation, could not be reached for comment. In interviews, several temp nurses who had been in trouble said their employers focused more on keeping slots filled than on who filled them. That was a lifeline for Obiora. The agencies "just send and send and send and send," he said. Lisa Schwartz, director of research at ProPublica, and researcher Kitty Bennett contributed to this report.